When he was studying for a BSc in Pure Science at Edinburgh University and then from October 1924 to June 29th 1925 when he was studying theology at Congregational College. During this period he played rugby for Scotland and trained to run at the Olympics. He also travelled briefly to the USA in 1924 to compete in an athletics tournament. He returned to Edinburgh after the Paris Olympics. 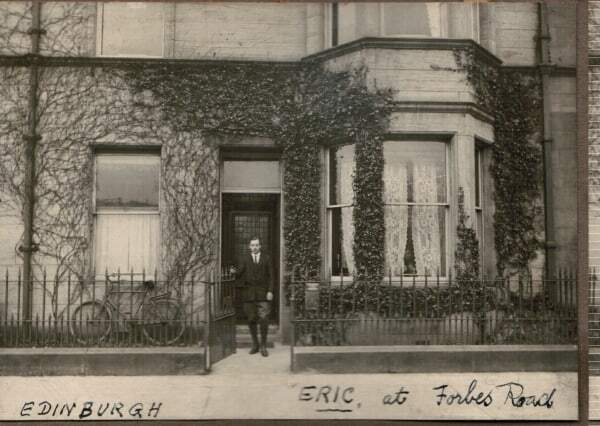 Eric Liddell lived for a short time in Gillespie Crescent before moving to a house in Merchiston Place. On furlough from China studying at Congregational College. After completing his studies he was ordained as a minister on 22nd June 1932. During this time he lived in a hostel in George Square which belonged to the Edinburgh Medical Missionary Society. During these periods Eric Liddell attended Morningside Congregational Church at the corner of Chamberlain Road and Morningside Road. The Church building (pictured here on the right) was originally built for North Morningside United Presbyterian Church who used it until 1881 when it became too small. 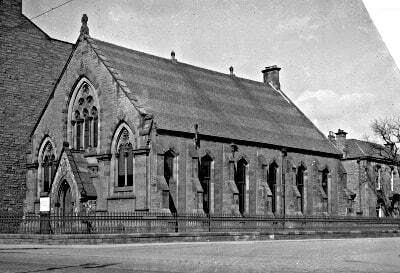 They then built a new, larger, church on the other side of the road (which is now the Eric Liddell Centre). From 1881 the old church was home to the Morningside Athenaeum Club before the Congregational Church purchased it in 1890. In 1928 this church was demolished and a new one erected (which is now Morningside United Church). 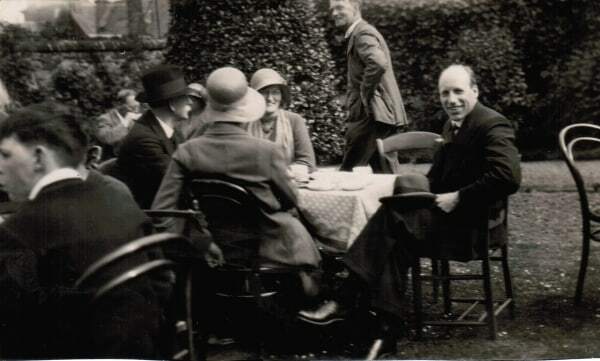 Eric Liddell would have attended meetings in both buildings during his two extended stays in Edinburgh. The old church from 1920 to 1925 and the current building (Morningside United Church) from 1930 to 1932. He also preached at the church on a number of occasions. 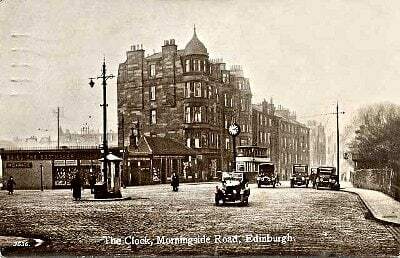 This postcard gives an idea of what Morningside was like when Eric Liddell was living in Edinburgh in the mid 1920s. Note the electric tram and the lack of traffic lights. The United Presbyterian Church merged with the Free Church of Scotland in 1900 and then, in 1929, this merged with the Church of Scotland. The United Presbyterian Church built in 1879 became known as Morningside North parish Church. By 1980 the building was no longer in use and became the Holy Corner Church Centre. 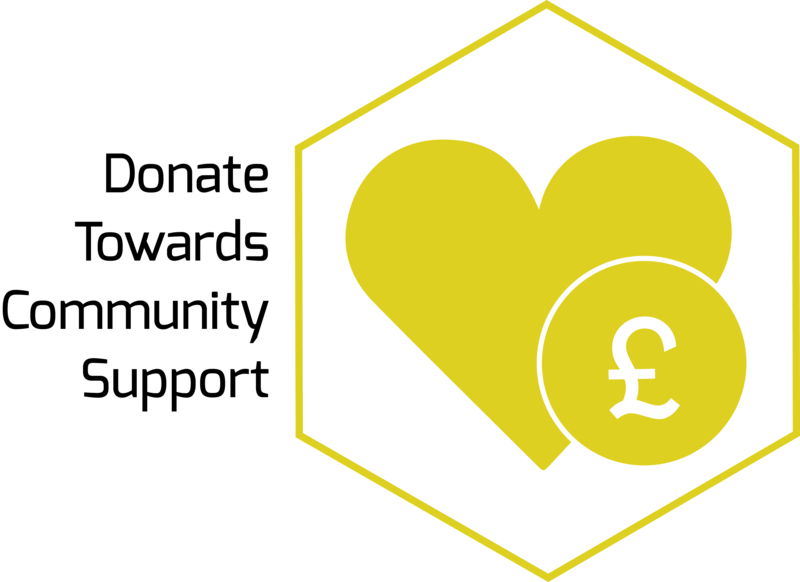 This was an initiative of the three remaining churches at Holy Corner: Morningside United Church (a merger between the Congregational and Church of Scotland congregations and in joint membership of the United Reformed Church and Church of Scotland), Christ Church (Scottish Episcopal Church) and Morningside Baptist Church. As the project developed the centre’s name was changed to The Eric Liddell Centre in recognition of his involvement in the life of one of the founding churches and the local community during his time living here.